With a background of over a decade in the real estate industry, Chris brings a backpack full of experience from a wide array of industries. With his fix and flip investment experience and role as a general contractor for a number of years, he brings a knowledge base and vision unique to the industry. The team at Redeemed Real Estate specialize in finding homes and properties and selling homes for clients in the greater Phoenix area. With roots in the rehab process of flipping homes, Chris and the team at Redeemed strive to make the experience of buying real estate both worthwhile and pleasant. Whether you’re looking for a new home, a fixer-upper, acreage property, or a community in which to plant roots, you can trust Redeemed with your real estate goals. Redeemed is different. The real estate world can often feel cold. Redeemed prides itself on walking alongside individuals and families as a friend and counselor as well as a business partner. From start to finish, your real estate experience with Redeemed will look and feel authentic, not transactional. Redeemed is proud to partner with 1Mission, a 501c3 community development organization that helps people living in poverty earn a house by serving in their community. Partnering with this organization allows Redeemed to celebrate each client’s new home by helping another family achieve their goal of home ownership. When you buy or sell real estate through Redeemed, you are invited in to someone else’s story. Find out more about 1Mission at http://www.1mission.org/. Chris began working in the Arizona real estate market as a general contractor in 2005. For several years, he managed the process of flipping homes for multiple real estate investors across the Valley. A track record of success in investment remodeling demonstrates Chris’s visionary ability and unique skillset to achieve something good out of an overlooked piece of real estate. In 2012, Chris transitioned from contractor to Realtor. Uniting his passion for serving others with his wealth of industry knowledge, Chris thrives working with people rather than projects. His caring nature and heart to see families and individuals grow in a community result in satisfaction for clients. His innovative use of technology, creative vision, and extensive experience provide a comprehensive approach to meeting individual real estate needs. Chris has expertise in the East Valley, specializing in the Chandler/Gilbert areas, where he has lived with his wife and three children for 10+ years. Chris prioritizes his faith and family, which has a profound impact on the way he works. He and his wife have a heart for their community, and they love opening their home to others. 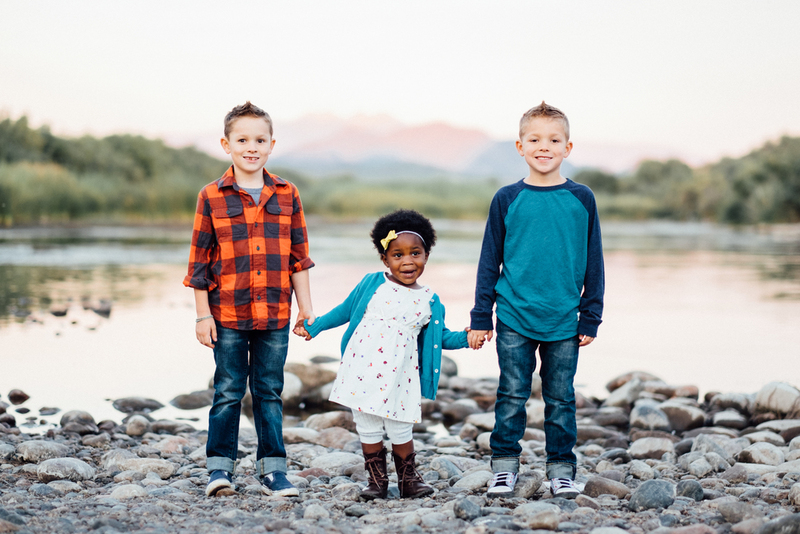 The adoption of their daughter drives them to communicate the beauty of adoption, and they are eager to support and encourage others who are considering growing their families this way. In partnership in both marriage and business, Chris and Lexi comprise a great team, able to see vision in difficult spaces. Lexi's design expertise and Chris's contracting and investment background offer clients a wealth of resources. The Lundberg's hearts burn to see and celebrate with families changed by the powerful picture of adoption, as has been the case in their home.